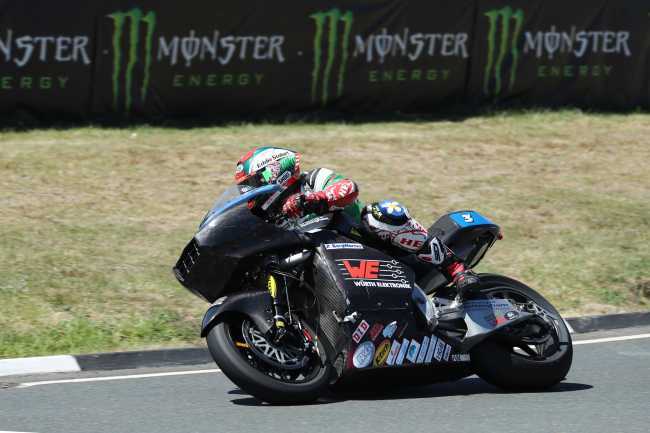 Michael Rutter, riding the team Mugen machine, became the first rider to clock a 120mph+ lap of the TT Course in winning today’s one lap SES TT Zero. Rutter was flagged away by His Royal Highness, the Duke of Cambridge, and later received his trophy from the Duke on the TT podium. Afterwards Rutter revealed that he had been feeling the pressure all week to deliver a result for the Japanese Mugen outfit. 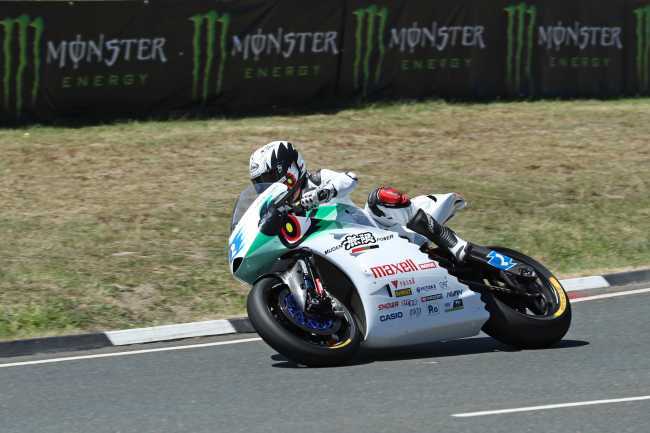 Rutter was away first from Glencrutchery Road and was first to Glen Helen, over five seconds ahead of his teammate Lee Johnston with the University of Nottingham’s Daley Mathison less than a second further back in third. James Cowton (Brunel University), Ian Lougher (Team Mirai), Shaun Anderson (Brammo) and Adam Child (Moto Corsa) also made the first checkpoint to Glen Helen but there was already a gap of almost a minute from the leading three riders. Lougher was reported as a retirement shortly after but at the front of the pack Michael Rutter was having no such problems and had extended his lead to six seconds by Ballaugh which he maintained at Ramsey. 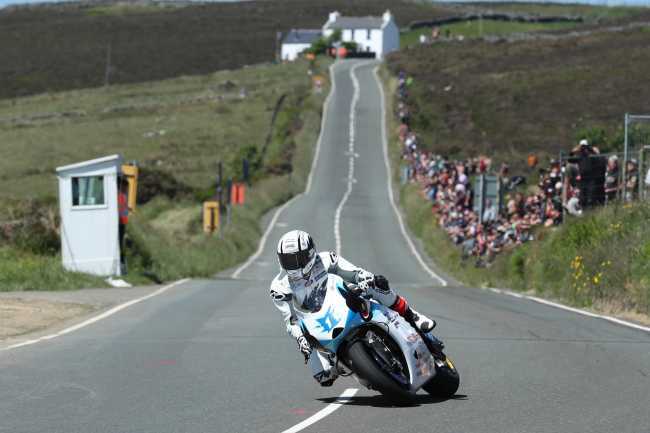 However, behind him Lee Johnson was experiencing problems and the Northern Ireland rider was actually reported as stopped at the Bungalow with a chain issue and two helpful spectators held his bike while Johnston carried out on the spot repairs. This left Daley Matheson to move up into second by the Bungalow and gave Rutter a dominant lead of over twenty seconds at the front of the field. Rutter duly came home in a new lap record of 121.824 (18:34.956) breaking John McGuinness’s 2015 lap record by over twenty seconds in the process. Matheson maintained his second place in a highly credible 119.294/ 18:58.600 with Lee Johnston (105.566/ 21:26.668) taking the final podium place. James Cowton, Adam Child and Shaun Anderson also completed laps.